After toppling ULM last Thursday, the Govs are now 4-0 all-time in post-conference tournament postseason home games. Thanks to local benefactors Jenkins and Wynne of Clarksville and Echo Power Engineering, LLC, all active duty military members and university students will receive free admission to this contest. The Flames are a bit of a defensive quandary–they stifle opponent shooting, ranking in the top-100 nationally in defensive field goal percentage (40.5, 22nd), three-point field goal percentage (33.3, 92nd) and blocks per game (7.1, second)… yet allow 72.4 points per contest, a number outside the top-150. Part of this can be attributed to physicality–the Flames commit 19.1 fouls per game, putting opponents on the line nearly 700 times this season. The other struggle is ball control; the Flames have committed 499 total turnovers (342nd out of 351 Division I teams), averaging 15.1 per contest (330th). Between Austin Peay and UIC, the team that controls the glass will likely have the last laugh. The Govs, one of the nation’s best offensive rebounding squads (13.00, 18th), meets a formidable foe in UIC which averages 28.03 defensive boards per contest, good for 24th in the nation. And even though Averyl Ugba and Terry Taylor, Austin Peay’s dual-threat post presence, have been stellar throughout the campaign, they’ve yet to run up on on a singular foe quite like UIC’s Tai Odiase–the two-time Horizon League Player of the Year is third nationally in blocks per game (3.27) and fourth in total swats (108). The next-highest ranked shot-blocker faced by the Govs in 2017-18 was UNC Asheville’s Jonathan Baehre, who ranks 63rd nationally and faced the Govs back on November 19th. 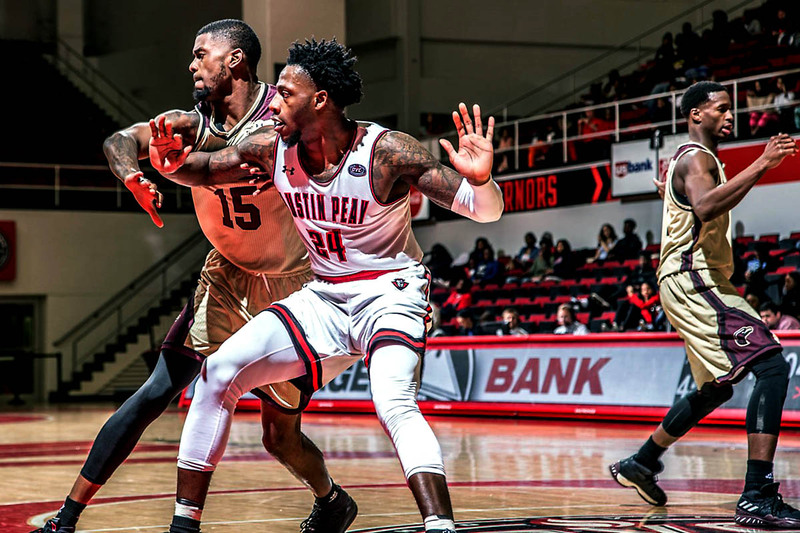 This will be the first meeting between the Govs and Flames, although Austin Peay has made a habit of facing off against the Sun Belt over the years; all-time, the Govs are 9-17 against Horizon League foes. Over the last five seasons, Austin Peay is 2-0 against the Horizon League, defeating Northern Kentucky, 77-69, in the 2016 Tarkett Sports Classic and polishing off Youngstown State in 2013. Against Troy, the only common opponent shared by both the Govs and Flames, Austin Peay defeated the Trojans, 75-73, in the Dunn Center, December 19th, while the Flames dropped a neutral-site contest to Troy in the Adolph Rupp Classic, 87-66, in Lexington, Kentucky on November 29th. A win would be the Governors 20th victory in Figger’s first season, the most by a first-year Austin Peay coach since Dave Aaron won 23 games in his 1946-47 debut campaign; he would become just the second coach in Austin Peay history with 20 wins in his first season. Senior Tre’ Ivory needs just nine assists to break into the top-10 in a single season in Austin Peay history. The Governor bench is averaging 21.5 ppg over the last 10 contests, led by junior Zach Glotta (13.0 ppg). A victory would be Austin Peay’s program-record tying 14th home win in 2017-18, equaling the marks put up 2002-03 and 1960-61. Taylor needs one point to become the second Gov in program history with 500 points as a freshman, and would be the first OVC freshman to do so since Cam Payne (Murray State, 2013-14). He’s now 10th all-time in single-season rebounding with 279; an additional 12 rebounds would break Bob Bradley’s freshman record for single-season rebounds (290).